I chuckled a little. When Talah and I first met in London eight years ago, I would have called this scenario impossible. Back then we were only “dating.” Marrying Talah was an idea that my parents and myself would have never imagined. People say identities are fluid. But if my parents respective Pakistani and diasporic-Tanzanian heritage were depicted as a Venn diagram, then my childhood was represented by the overlapping space in the middle labeled “Ismaili Muslim.” Growing up in northern Virginia, the biggest influence on my life and the core bond that tied my parents together was our faith in and regular practice of a sect of Shi’a Islam. I clutched my Ismaili identity like a passport. It gave me membership to a club when all other doors were closed. My friends in the community did not come from a mixed heritage home and did not get why it would be such a big deal; after all, my parents were both South Asian and the rest of the world made no distinction between them. But, in conversations that were peppered with Urdu words that I did not understand or references to East African food that I never ate, I fell silent. I felt I was not part of any culture: I was too white-washed to be Pakistani, too Pakistani to be Tanzanian, and too brown to be white. So, I nestled more comfortably into the idea of being Ismaili, which to me meant becoming fluent in a set of religio-cultural practices, like attending the mosque twice a week or becoming the captain of youth volunteers. “Talah is Sunni,” I warned myself when we unexpectedly fell in love. He was also the man that made my heart smile every day and showed me a new side of happiness. He was from Pakistan, was charming, intellectually curious, well read, funny, kind, and athletic. Despite this, I set a definitive date for our break-up. I could never imagine a future with someone who was not Ismaili. My angst stemmed from dramatic existential questions – “Where I would I belong? Who would I be? What would I be expected to become?” – to practical ones like, “Would I take my kids to my house of prayer alone?” The uncertainty washed over me like a string of tidal waves in which I re-drowned every single day. Through this, Talah was my lifeguard. In his eyes, we got along like a house on fire and we were both Muslim – that was more than enough. He’d remind me that he grew up with Ismaili classmates and neighbors. “I don’t get it. No one made a distinction between us in Karachi. Why do you have to make an issue out of it in the U.S.—what is the big deal?” he’d ask. Being a Shi’a Ismaili means I believe in the vested authority of the Aga Khan, who is a direct descendant of Prophet Muhammad. It also means I pray at separate jamatkhanas, and not public masjids. As a Sunni, Talah believes it is the Muslim community as a whole that inherited the Prophet’s authority, not one single, unelected individual. Our divergent beliefs of religious authority means different ways of praying, customs, and interpretations of Islam. These differences were perhaps less of an issue for Talah and his family who grew up with Sunni Islam in Pakistan. As part of the majority, his family’s beliefs were fortunately not threatened. Sectarian conflict grew in the 1980s under Pakistan’s Islamization plan. Normative Islam was equated with a specific brand of Sunnism, and minority communities, including the Ahmadi and the Shi’a, were excluded. For Ismailis, sectarianism has an additional dimension because many Shi’a do not acknowledge Ismailis as part of their branch. This is perhaps why most Ismailis until my generation did not consider marrying outside our very small community. Being foreign often makes immigrant communities circumscribe harder boundaries in their new countries. It’s an act of survival; knowing who you are and where you come from gives you a lifeline in the face of unfamiliarity. It happened to my mother’s family when they moved from India to Tanzania in the late 1800’s and it happened to my Ismaili community during waves of immigration to North America in the 1970’s and 1980’s. Both times, families gravitated towards cities where other Ismailis lived and grounded their civic participation in jamatkhana. Yet the notion that I had to somehow “protect” my Ismaili identity was ridiculous to Talah. “I would never expect you to become Sunni or to stop being Ismaili. Being Ismaili is part of what makes you distinct, and it is one of the reasons I like you,” he’d say. Four years of long distance love between London and Washington eventually won out. If we could survive the Atlantic, I began to think we would weather most things. With a healthy dose of time, many frequent flyer points, and personal progress on a steep learning curve, I finally saw that our Sunni-Ismaii relationship was not actually a zero sum game. It was not so easy for my family. They grew up in a world where some within Islam rejected Ismailis as heretics and persecuted them in countries like Tajikistan and Syria. As Ismailis, we considered ourselves different and we had good reason to believe that several Muslims looked at us the same way. These perceptions put my family on the defensive. They had one fundamental concern: If I married a non-Ismaili Muslim, would I be accepted by his family? A couple of years passed until my endurance won out again. It was not all sunshine and kittens – Talah and I bore our fair share of concerned comments from family and even friends – and we emerged from it bruised, but stronger. After hoping that my relationship might be “just a phase,” two things ultimately became obvious to my family: first, I was happy; and second, I was not going to give up. After some time, my parents asked to meet Talah. We walked into the house to overwhelming scents of South Asian food: aromatic biryani, a traditional rice dish, and pungent nihari, a slow-roasted, spicy meat curry known specifically to Pakistan. We sat down to eat, and my parents and Talah started chatting about his family, his roots in Karachi, and his transition to London. My dad grew up in Karachi and my mother had first immigrated to London from Tanzania before settling in North America. Somewhere between the passing of the naan and the nihari familiarity took root. Conversation continued for a couple of hours and sometime towards the end of dinner my dad asked Talah eagerly, “So, how was the food?” Talah, known for his inability to kiss-up, had no idea that my dad only cooked on big occasions and said, “Delicious. It tastes just like the biryani I used to eat back home.” The smile erupting on my father’s face was unabashed and genuine. Two years later, we were planning for our wedding and my dad had only one request: to serve “genuine Pakistani biryani.” He even offered to make it. Get married, free, on muzmatch. 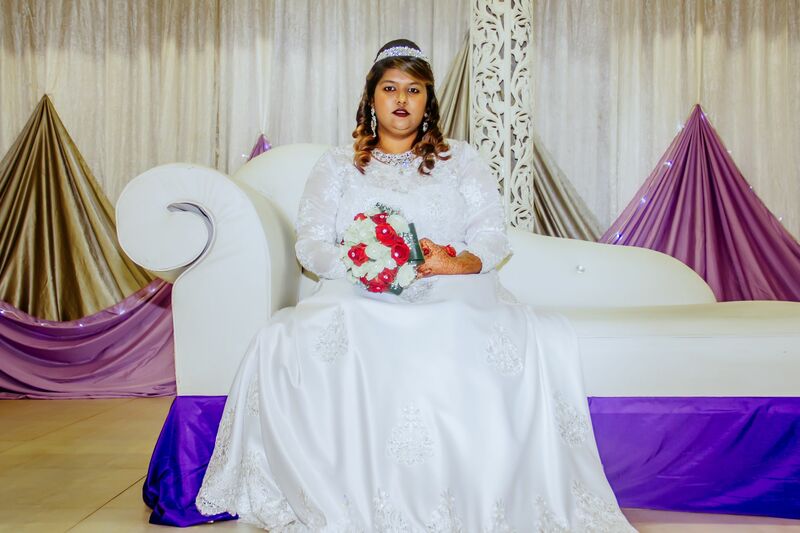 My name is Halima and I'm from Gauteng, South Africa and my husband (Arshad) is from Kwa-Zulu Natal, South Africa; we are both South African Indians. 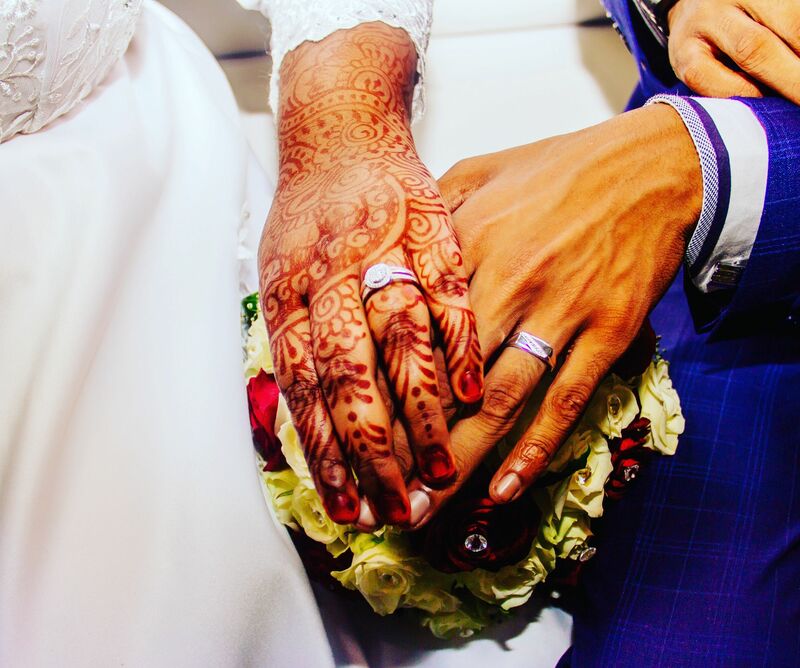 He liked my profile on muzmatch on the 8th of April 2018 and on the 9th we started chatting and Alhamdulillah, today we are husband and wife. 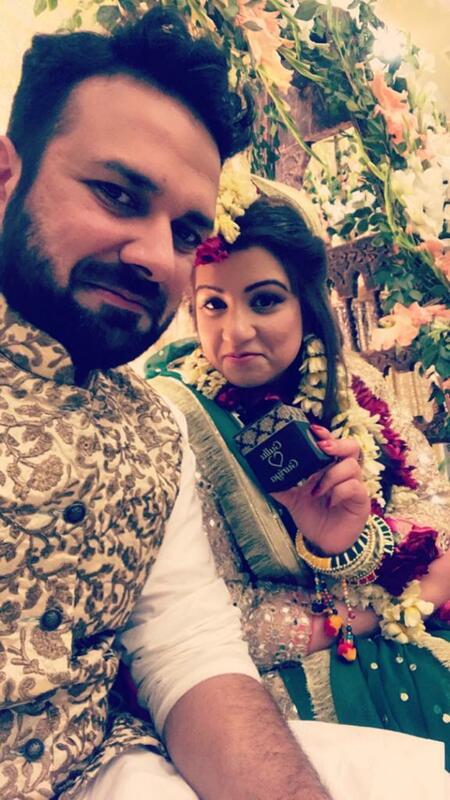 We did our Nikah last month (March 9th 2019). About a month before I joined muzmatch I remember speaking to my mother in the kitchen as we cooked supper and she had full confidence that I'd be getting married soon. I told her that I felt that maybe I'm just not meant to get married and be happy, taking into consideration that I personally felt like one could never find a decent man whose intention is to make Nikah in this day and age. My Moulana had recommended that I join Nikah/Muslim match-making groups and muzmatch populated amongst my searches, so I downloaded the app and registered. After a while I had lost hope so I deleted the app from my phone but did not deactivate my profile. I checked my phone and I had an email notification from muzmatch which read "Arshad likes you". I was quite surprised; I looked at his profile and his biography was quite captivating but it seemed so surreal - this was too good to be true. I used the link in his bio to view his Facebook profile, we had a mutual friend which was my cousin that also resides in Kwa-Zulu Natal, so I felt a bit more assured that this is definitely real considering that I had started to think that this could potentially be a catfish. We started chatting that very morning and there was an instant click. It felt like we were long lost friends because of how well we understood each other and could complete each others sentences. We had the same interests and the same intention; we could speak for hours on end without running out of things to say. We had realized that we are most definitely soulmates. Within 2 weeks he called my parents to ask for my hand in marriage. In July 2018 (21st), I booked a flight to visit him and his mum for the day and after spending time together we knew that this was the right decision and that Allah SWT had created us for each other. We then saw each other once again in August 2018 (25th - A surprise for my 21st birthday planned by him and my mum); and again in November 2018 when he flew up to attend my younger sister's wedding with his mum, younger sister and brother-in-law. Slowly the long distance had become difficult, our younger sisters were both already married and settled and we started wondering when would we actually get married. In February this year he decided to relocate to Gauteng and found a temporary job. His dad visited my parents and they decided to set a Nikah date, Alhamdulillah once the date was set everything fell into place by the will of Allah. He found a job as a PC Engineering lecturer and we were able to find our own place with our parents help and support. 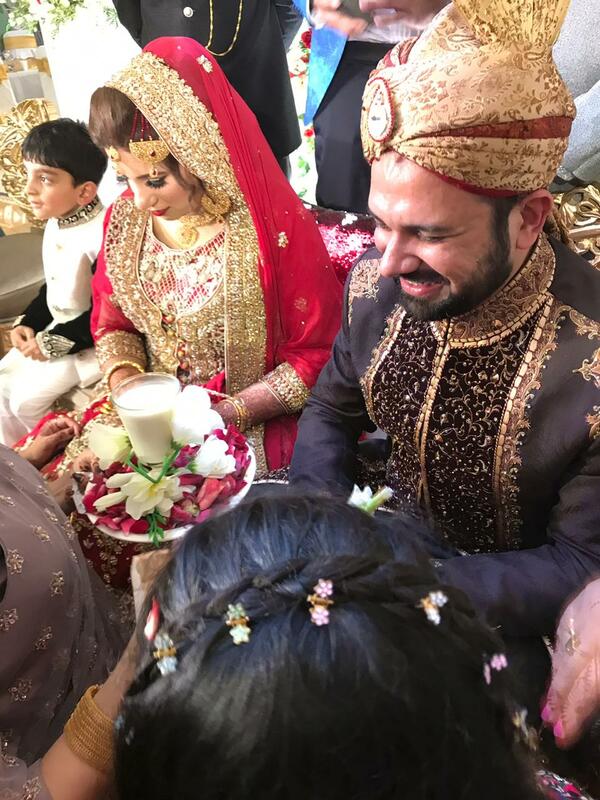 Today I am happily married, living my dream with my husband and I have wonderful in-laws that love me as much as they love Arshad. The most important quality I wanted in a husband was someone that could take my family as his own and Alhamdulillah I found that in Arshad. We are now a huge happy family Alhamdulillah. Jazak'Allah muzmatch! Arshad has found me due to the creation of this wonderful app (He always says that he found me, not the other way around). I would advise everyone to put their trust and faith in Allah SWT, never give up hope that Allah SWT will send the one who is meant for you when the time is right - for Allah is the greatest of planners. May all the other individuals find their spouses through this app as well Insha'Allah. 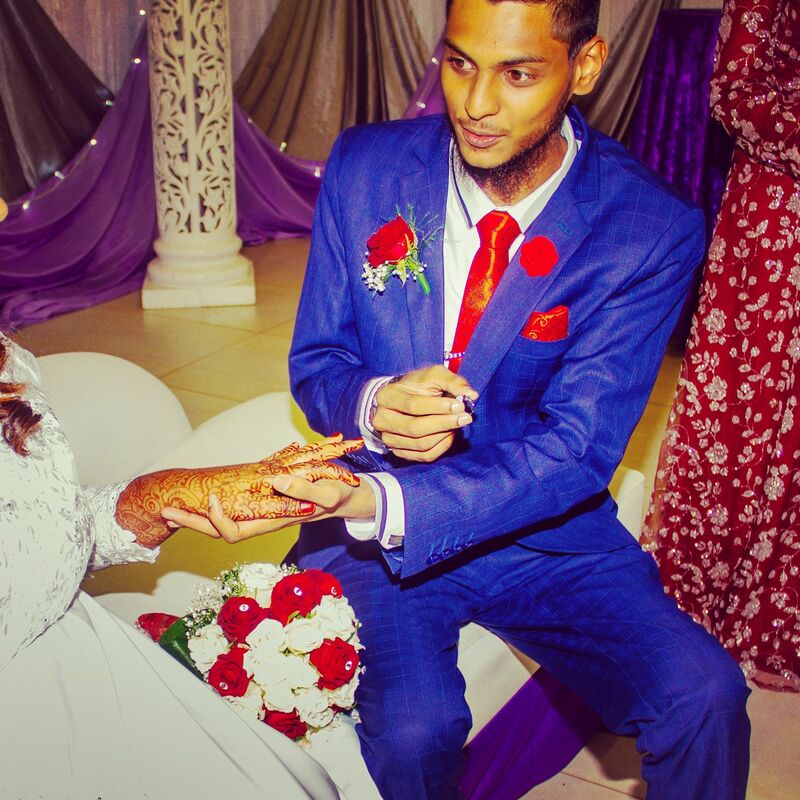 My name is Yasmeen and I found my husband, Taymoor, on muzmatch on the last day of last ramadan. We were both divorced. 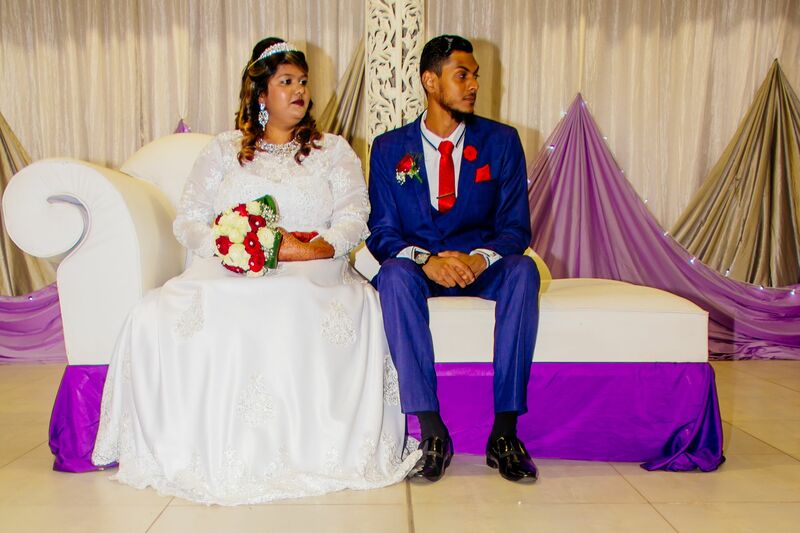 The first time we talked on muzmatch was in June and we got married one month later in August 2018. I always wanted to send our story to inspire others who are searching for a good husband and wife. We are both Egyptians, from Cairo, we even work & live very near to each others in New Cairo city. I am a digital marketing manager and Taymoor is an IT manager. I am 37 years old and he is 40. I have a daughter who is 12 years old, and I was searching for a real Muslim man who would be a good husband and father. Finally I found Taymoor, who is a good man and a good Muslim, he is very kind. I am telling my friends that I found someone who really looks like me from the inside. He was divorced and also has a kid, who is 5 years old. When we first chatted on muzmatch we spoke for over 6 hours, he was surprised much we got on, he even thought that this was a prank! I couldn't believe that I finally found the man I was looking for. The first time we met, was after Eid al futr, in the House of Cocoa, as Taymoor knew that I loved chocolate. We talked about ourselves for over six hours, I did not want to leave and neither did he. After we met I told my family and friends, and he did too. He and his family visited us and we got married in only two months, I never imagined that I would find my soulmate and marry him that fast. I always wanted to find a man to trust and love, after being a single mom for years, I found out that my dream man was hard to find, but alhamdullah I found him on your app. Alhamdullah, we are very happy together, my daughter lives with us and his son visits us on the weekends. You cannot imagine how much I am now recommending muzmatch to all my friends. It didn't even take me long to find my husband. I used the app for almost one month or less. I am so happy alhamdullah now that I married a real muslim I always wanted. My name is Sara and I just wanted to thank muzmatch and let you know that I finally got engaged on 24th December 2018 and found my Fiance - Ghazunfar on the App. We are really happy Alhamdulilah and just wanted to thank you for creating a platform for Muslims to find a suitable match for marriage! I believe it's a real blessing because initially we matched but we didn't talk as he hadn't read my messages and was not appearing online. After around 4 weeks, I unmatched however after some weeks I logged in and I came across his profile again. After some giving it some thought I decided to rematch and give it a try again. The next day he replied to me and the is history. 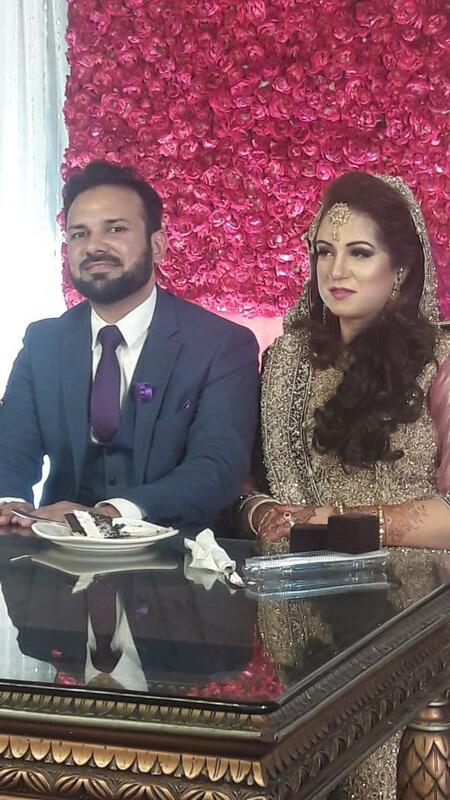 Its been a almost a year since we matched on Muzmatch and we have set the Nikkah date which will be 1st March 2019 in Rawalpindi, Pakistan. Our families are very happy and we are looking forward to entering into the blessed union of marriage Insha'Allah. We just wanted to say keep up the good work, may Allah bless you and request that you keep us in prayers. One last thing to everyone using the muzmatch App - please do not give up, there is someone out there for us all! The muzmatch app is where single Muslims meet. Halal, free and fun, thousands of members find their partner on muzmatch. 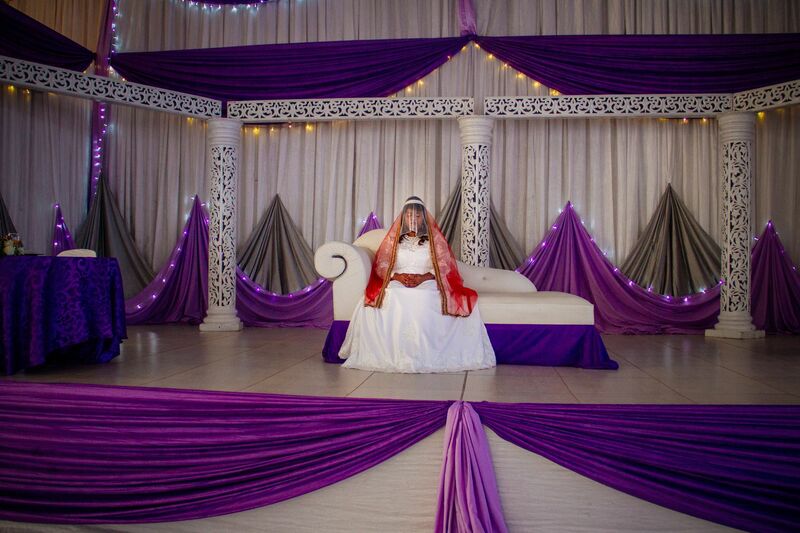 Alhamdullilah, over 25,000 people have found their partner on muzmatch, with thousands of weddings around the world. Quality profiles, advanced filters, photo privacy, and Wali/chaperone support make it easy to find the one.